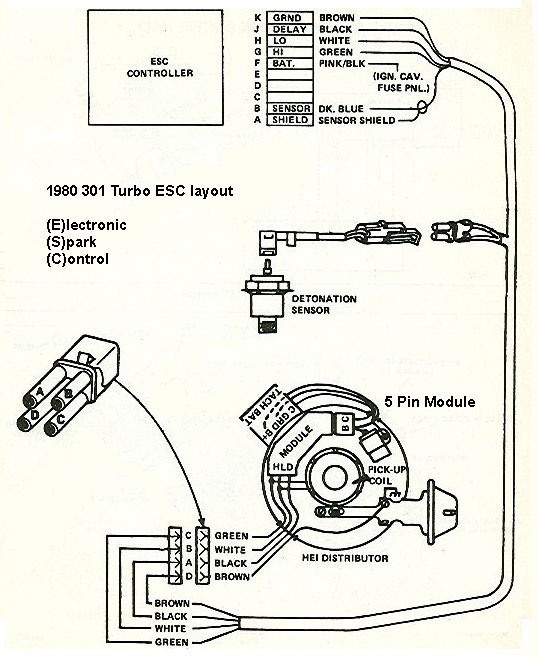 TurboBuicks.com > Technical Forums > "Before Black"
Does anyone know the signal level and polarity of the "Delay" output of the Turbo Control Center? I have a prospective customer with a non functioning Turbo Control Center. He wants to use our J&S knock controller in its place. This implies I can leave the 5 pin module and TCC in place, and install the J&S in line with the "Delay" signal (Black wire). The J&S can trigger from magnetic pickup, points or OEM electronic, or a digital input. In addition to a coil driver output, the unit has a simulated magnetic output, and 5v digital output. The input and output trigger polarities are selectable. Turbocharged my Fiat sedan in 1980. If a turbo you have tried, then a piston you have fried.